The following video explains about the importance and necessity of saving rain water. Imagine when such practices are prevalent and followed in desert regions, why can't we at least try the same in other places. Video Courtesy : You tube and Ted.com . 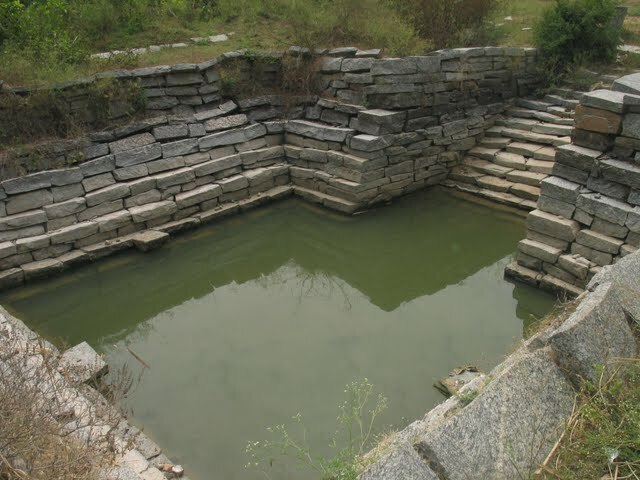 It is not only about harvesting rain water but also preserving and following our simple traditional practices. There are so many stepped tanks across our country built during the reign of various kings. Except a few of these tanks, the remaining are almost in ruins which is a sad state for all of us because we have failed in preserving and maintaining whatever was already built for the good of us. 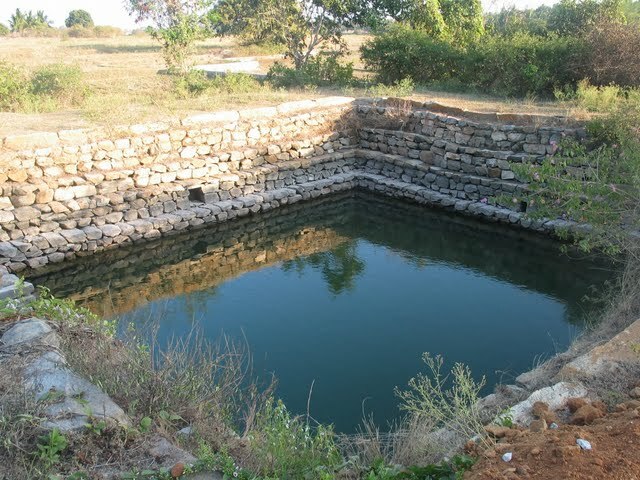 The above tanks are located in 4 different villages out of which the first three villages have canal system because of which these tanks are neglected. 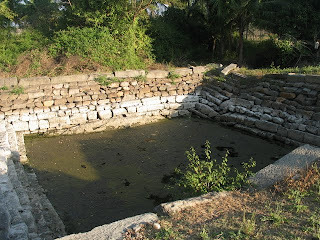 The last village had the tank cleanly maintained since the canal was far away from the village and hence this water is being used for drinking. During an interaction with a village local, on inquiring about why the tank was not being maintained, he replied saying nobody is interested in doing so. And he had also taken an initiative in cleaning up the tank. We were glad to hear him say that. He also told us that the water stored in the stepped tank was a savior for the cattle and other purposes during severe drought period (2000-2002) when the canals and lakes dried up. Rain water harvesting is not at all a new technique for us. It is an age old practice which disappeared in the wake of modernization. We waste so much energy on wrong things rather than preserving and doing simple things which can prove wonders. Nowadays, lakes in the cities have become a dump yard for sewage water and other harmful pollutant. Many lakes have vanished to become layouts, apartments, multiplexes and other buildings. Some time back, Bangalore had around 400 lakes in and around. But today, very few are in shape. 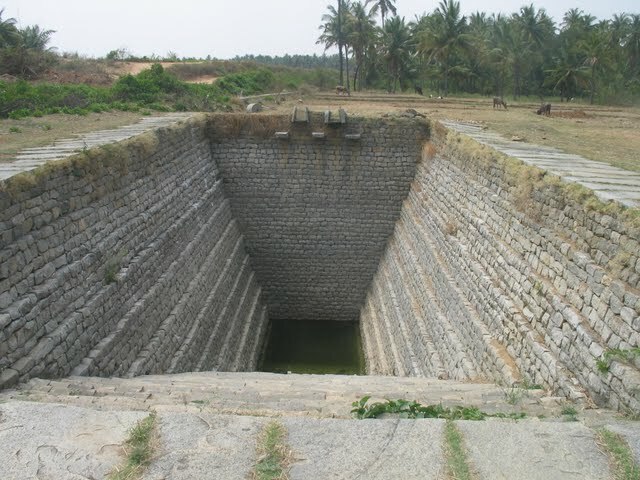 Bangalore gets around 900+ mm rainfall (15 times more than the golden desert, Rajasthan) annually, but water is pumped from a distance of about 140 kms from Mysore region (catering to about 80% needs of Bangalore). Thankfully, now it has become mandatory to have rain water harvesting system for new buildings which is a positive action and a good move, but this has become another avenue for corruption and wrong practices. Water is precious, hope someday we realize this and take a serious path towards harvesting rain water. Just maintaining rivers, lakes, ponds, stepped tanks, wells and other water bodies would do a world of good for everyone. Instead of quoting "Water is precious, use it wisely", which we don't seem to really understand, it would be better to re quote the same to "Water is precious, waste it wisely" in today's world. At least then, we hope some change will occur in a positive way. Very useful for some places especially Rajasthan. When people traverse kilometers for a pot of water some enjoy bath tubs and swimming pools. Our chalta hai attitude creates problem every where. We have always had such wonderful "Kalyani"s and sacred groves in all our temples, intertwined with the Faith. While people mindlessly continue with superstitious beliefs, they have forgotten the more important aspects of Religion like cleanliness, eco-friendliness and natural living. At least now, with scarcity staring in the face, let us hope more attention is given to rainwater harvesting and preservation of forests. Thanks for sharing the wonderful video clip. Excellent and very wise post for the day and the video clip is terrific! I do love your take on the words -- "Water is precious, waste it wisely"! Wise words indeed!! Hope your week is going well! It is someone else's job attitude is what is costing everybody.. Nice post TGS..
Nice post...When is your post on Turuvekere coming up? Hope you had a nice trip? Wonderful post. Rain harvesting is very much essential in every city. wonderful pics and v well written! I completely agree with you, step wells have largely been neglected in almost all the parts of the country.